River Cottage Weddings is without a doubt one of my very favourite wedding venues of all time. It’s such a stunning wedding venue. That view as you turn the bend in the drive and see the Farm nestled in the valley below just instantly makes you smile. There is so much charm and character and only ever attracts lovely, cool, relaxed people who want to let their hair down and have a great time and just go with the flow (and enjoy some pretty amazing food). I’ve shot here a number of times now over the years and I absolutely love it. The staff are so friendly and welcoming – and the chefs! – and every time I get to visit I’m just so impressed by how far they go to make your day utterly brilliant. 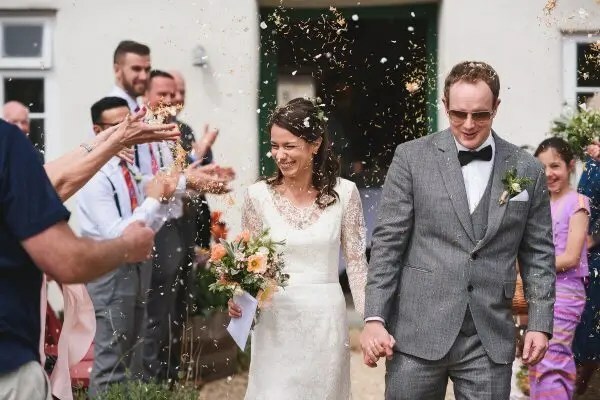 River Cottage is perfect for a wedding at any time of year – I’ve shot there in the height of summer and the middle of winter and it has always been wonderful. Please have a look around. If you would like to read more about how I approach each wedding just head on over to the ‘me’ page and to read about what’s included you can see the ‘you’ page. To get in touch just say hello!